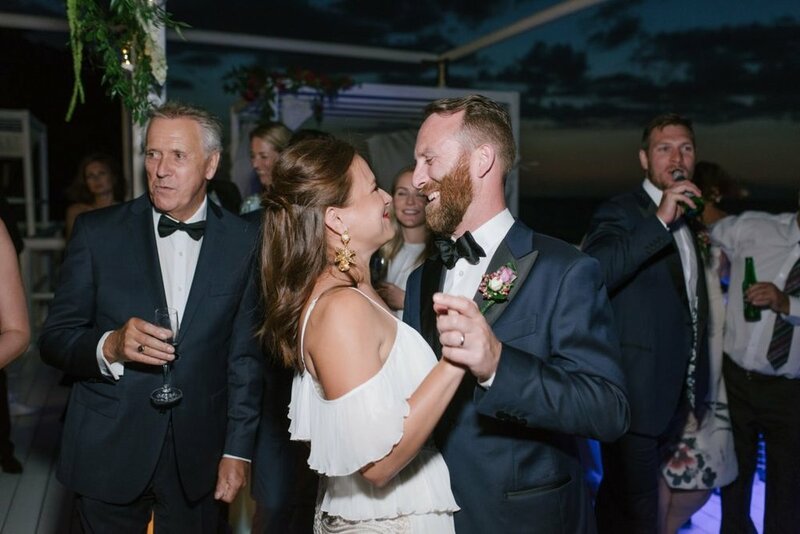 tile-paved manors, and fetching piazzas, and this uber-chic Caprese inspired destination wedding played upon the charms of Italian panache, creating a magical experience for Monica & Stephen’s stylish guests. 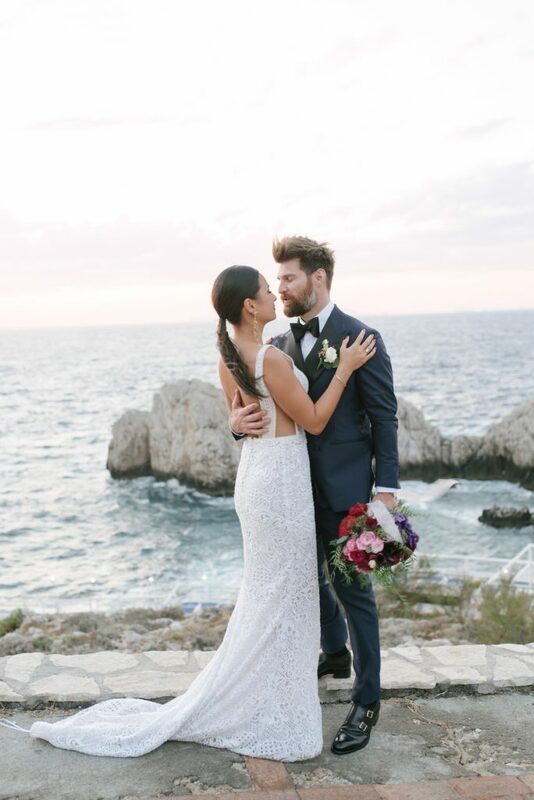 Our couple drew inspiration from the lush stuccoed Italian gardens for their outdoor wedding at Villa Gioia, brimming with a confetti of lavish details. 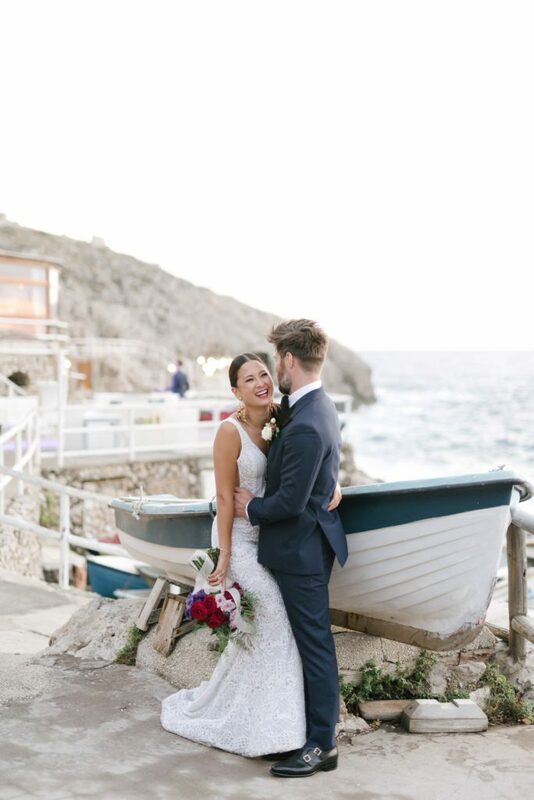 After the ceremony, the utterly in love bride and groom in the company of all their guests strolled through the fabled Piazzetta of Capri to their reception at Il Riccio, a glorious peaceful arc of art bookended by rocky cliffs where dishes chased memory flavors and sunlit afternoons. 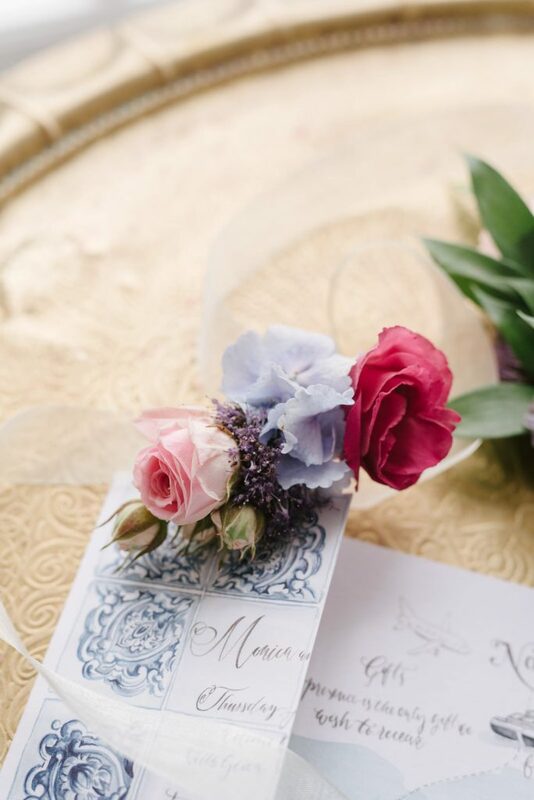 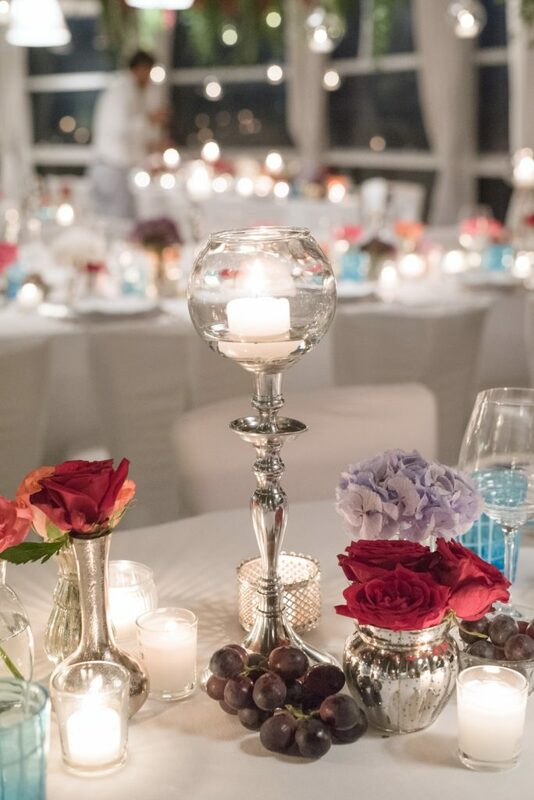 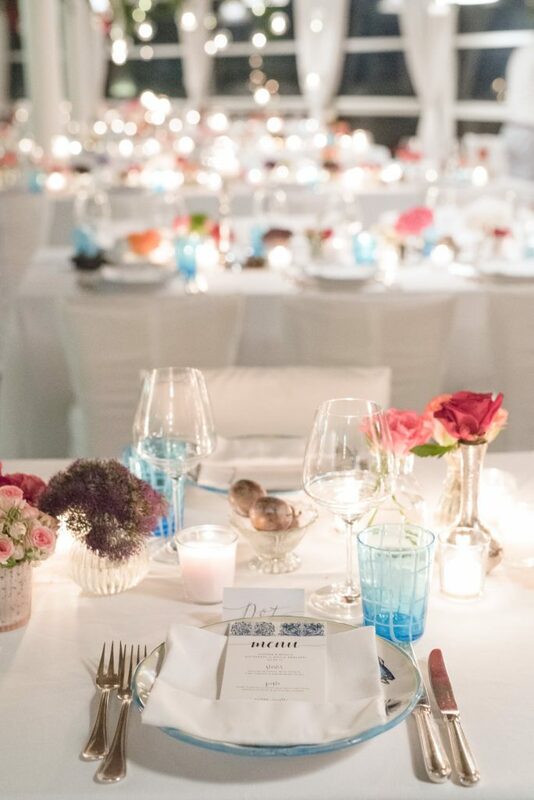 Every detail – from the Capri-themed guest welcome maps to the couple’s personalized invitation suites to the gorgeous floral arrangements – perfectly complimented the couple’s vision for an elegant but effortless Italian adventure. 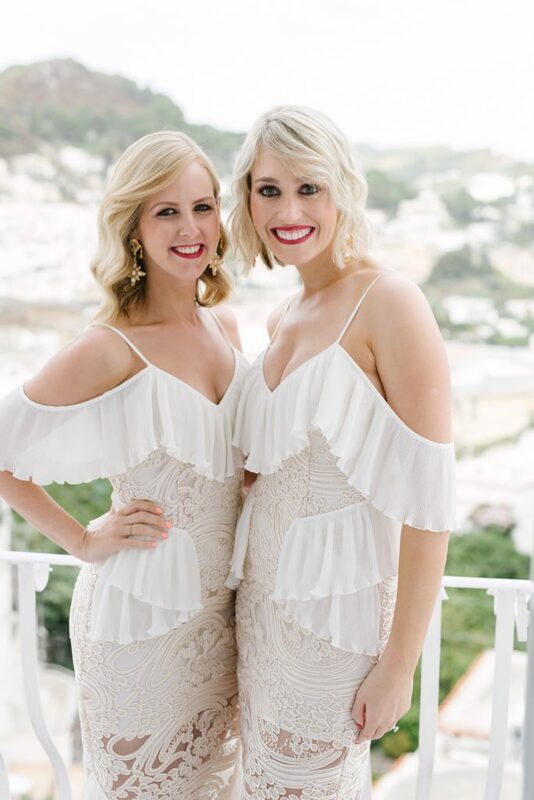 - WEDDING PLANNER: Isla and Smith Bespoke Weddings - FLORALS: Flowers in Capri - BRIDE’S GOWN: Pallas Couture - BRIDE’S SHOES: Dolce & Gabbana - EARRINGS: Jennifer Behr - GROOM’S SUIT: Bencivenga - PREPARATIONS & CEREMONY VENUE: Villa Gioia Capri - RECEPTION VENUE: Il Riccio Restaurant Capri - COUPLE PORTRAIT LOCATION: Piazzetta of Capri, Punta Carena Lighthouse.